Where can I buy the cheapest iPad Mini and Air? The answer to that question starts here on BFUK, as we will have all the latest deals as soon as the Black Friday sales begin near the end on November. There are so many iPad models to buy at the moment right from the 1st generation tablet up to the current models. Read on for the best iPad Mini and Air deals. When you visit the Apple Store you will see they are currently selling the iPad Air, iPad Air 2 as well as the mini 2 and Mini 4. So that is 4 different models, but online there are many more than that on sale, and when prices come rolling down they will be on this page for your viewing and clicking pleasure. 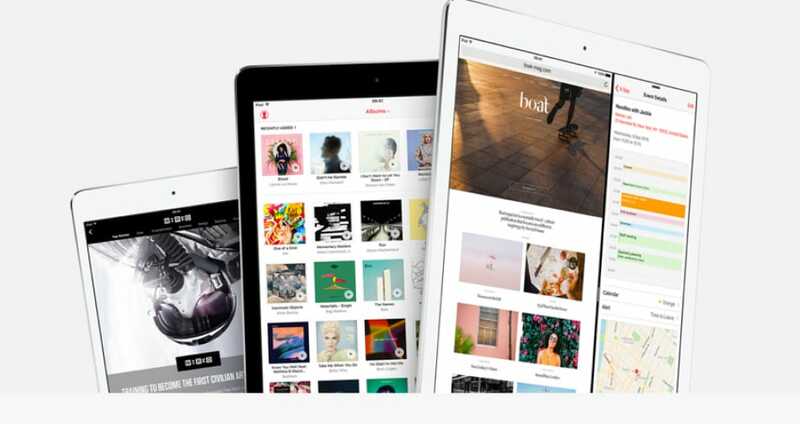 The iPad was introduced in 2010 with the current iPad Air 2 coming to market October 2014, and both the iPad Mini 4 and Pro releasing in 2015. If you are looking for low iPad Mini and Air UK prices please check back here for Black Friday deals from the likes of Asda, Apple, Amazon and many more retailers. Will the Apple iPad mini 2 with wifi and 16GB get any cheaper than £190 during the Black Friday Sale? If not then I will just buy from Amazon UK today. Currys PC World is taking part in the Black Friday sale, wonder if they will be selling any iPads on the cheap. When it comes to buying a brand new iPad Air 2 then Amazon and Wex are the best with prices at £328 and £339 respective. Both come with free delivery. If you buy the Sapce Grey iPad Air WiFi model with 32GB for £359 via Tesco online you will get 359 Clubcard points as well as a £5 saving on selected case / smart cover. Currys website price for the gold 16GB iPad mini 3 by Apple was £319, but can be yours for only £279. What stores will you be listing for iPad Air deals? I have been after one for a while but do not want to pay full price, thanks. I normally buy Apple stuff from Apple, but is it worth buying from the likes of Amazon as they do better deals? I am so confused, why is Apple still selling the Mini 2 when they have the Mini 4, and why the Air when they have a new Air 2? I am after the Apple iPad Pro, but I cannot see these prices coming down anytime soon. it says on Apple Store UK that it is coming in November, but no date is given. Will they be selling this before Black Friday sales begin?